Last night I updated my earlier post, "Terrorist laser threat timeline," with a story that appeared on Pittsburgh's NBC affiliate, WPXI, regarding an alleged laser sighting by a pilot at Greater Pittsburgh International Airport. A spotlight shined into the cockpit of an airliner departing Pittsburgh International Airport was probably the action of pranksters and not connected to instances of lasers being pointed at planes in other cities, airport officials said. Airport spokeswoman JoAnn Jenny said a pilot reported seeing the light at 9:30 last night [as] the plane took off. She could not supply the pilot's flight number or carrier. Airport operations and the Federal Aviation Association said the source of the spotlight was in Independence, Beaver County, about 10 miles from the airport. Independence police searched the 23 square-mile township for about an hour, Jenny said. The search was called off after about an hour. WPXI aired a story on their 5 pm newscast today that also "corrects" the earlier report, which unequivocally described the light source as a laser, not a spotlight. At the risk of sounding like Oliver Stone, I'm also suspicious that the airport spokesperson wouldn't name a flight number or even a carrier. Feels like someone's trying to keep a lid on this. Laser-blinding weapons are outlawed for use in war under the Convention on Conventional Weapons—an amendment to the Geneva Protocol, which was signed in 1980 and further modified in 1995. The Iranian military suffered over 4,000 documented eye casualties from Iraqi laser systems during the Iran-Iraq war. This fact—and the subsequent findings of the Iraq Survey Group—suggest that Saddam Hussein had a longstanding interest in laser technology as a weapon of war. The most portable laser-blinding weapon available in the international arms market is the ZM-87 "Portable Laser Disturber" (pictured above), manufactured by China's North Industries Corporation (NORINCO). The ZM-87 is tripod mounted and weighs just 73 pounds, making it a fairly concealable weapon for terrorists. (Most other laser-blinding weapons need to be mounted on a tank, truck or other vehicle.) The ZM-87 can injure eyes at ranges up to two miles, or three miles with a magnifying optic. NORINCO has promoted sales of the weapon at trade shows in Manila and Abu Dhabi. North Korea’s military fired a laser in March of 2003 at two U.S. Army helicopters patrolling the demilitarised zone, according to a story by Bill Gertz that originally appeared in The Washington Times. According to Gertz, "two Apache attack helicopters were illuminated by … by a weapon that had the characteristics of a Chinese laser gun, an indication that North Korea has deployed a new and potentially lethal weapon. Lasers focus concentrated beams of light on a target and are used in some guidance systems. The Chinese laser gun, however, is a weapon that can cause eye damage at ranges up to three miles." The story identifies the weapon in question as most probably the ZM-87. NORINCO has been cited as one of the main Chinese recipients of Saddam's oil vouchers under the infamous U.N. Oil-for-Food regime. An October 12 story in The Washington Times, again with Bill Gertz' byline, notes that NORINCO has been identified as a major supplier of weapons goods to Iraq and has been sanctioned by the U.S. government several times. "Norinco agreed in 2000 to supply 200 gyroscopes for use in Russian and Chinese cruise missiles. It also sold machine tools with missile applications …. Norinco agreed to continue selling military goods to Iraq despite Baghdad's debt of more than $3 billion to the company from earlier sales." No specific mention of the ZM-87, of course, but I suspect this would have been small change in a $3 billion-plus weapons budget. The Vision Laboratory at the Naval Air Systems Command's (NAVAIR) Human Systems Division has developed a laser-blinding countermeasures system for aircraft called a "Laser Event Recorder" (LER). The LER lets pilots know if they're being targeted by a laser, and whether that laser can damage their eyes. 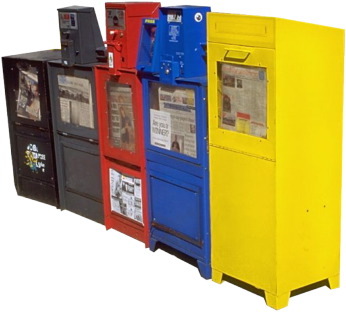 A green light on the box means the system is functioning and everything is normal; yellow means a laser is pointed at them but is not an eye hazard; and red means they are being targeted by a laser that threatens their vision. Some airline pilots are demanding the LERs be fitted to commercial aircraft, given the growing number of laser-related incidents. I still think that it's fairly improbable that terrorists would be smuggling laser-blinding weapons out of Iraq (or wherever) and positioning them in neighborhoods around major U.S. airports—especially when they could be doing the same thing with shoulder-launched missiles, which are equally portable. All the same, the facts I've cited above—in combination with the growing number of reported incidents—does give one pause. September 22. The Transportation Security Administration investigates an incident in Salt Lake City where a pilot, making a night-time landing on a flight from Dallas, received a retinal burn from a laser somewhere on the ground. The incident took place about five miles from the airport. November 7. Three commercial airliners at the San Diego Airport report seeing green lights coming from a direction northeast of the runway after departure. November 9. Flight crews on four aircraft in the vicinity of Houston International Airport observe a green laser light shining into the air near the Conroe, Texas area, about 25 miles northwest of the airport. December 25. 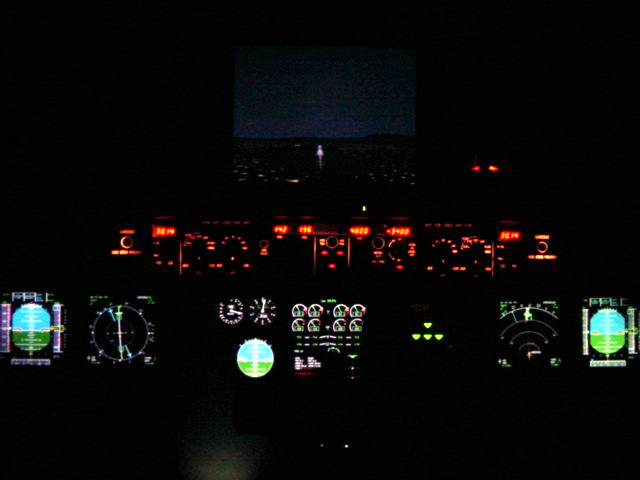 A Sky West pilot and co-pilot report seeing two laser-like lights in the cockpit while trying to land at the Medford, Oregon, airport. " The pilots described the light as a laser that entered the cockpit from the chief officer’s window and did not move off the aircraft, said Alison Gemmell, director of marketing and communication for SkyWest Airlines. The pilots reported the event to airport tower personnel, and the FBI was called in as a routine matter of notification, Gemmell said. SkyWest also has filed its own report, she added." December 27. A Continental Airlines flight landing at Cleveland Hopkins International Airport reports a laser being shone into the cockpit. The incident is under investigation by the FBI. The Cleveland Plain Dealer reports: "Agents say the green laser came from a Warrensville Heights neighborhood near Randall Park Mall as the plane traveled 300 mph at 8,500 to 10,000 feet. Pilots were not affected. The plane landed safely." (The Plain Dealer article also notes: "Fred Szabo, commissioner of Hopkins, said a laser has been aimed at an aircraft in Cleveland at least once before, but he would not provide details.") That same evening, two pilots on a flight to Colorado Springs report their cockpits being "filled with laser light." According to a story in The Denver Post, "authorities do not know what type of laser was used. Police would not disclose the altitude of the planes. Airport operations were not interrupted." The Plain Dealer article suggests that such incidents have become quite common in recent years. "The Federal Aviation Administration has found hundreds of cases in which lasers have been pointed at planes since 1997, according to an agency report. In April 2003, the FBI said in a report that lasers are being pointed at planes 'at an alarming rate.' "
Speculation about the incidents has been escalating, especially regarding the types of lasers being used. 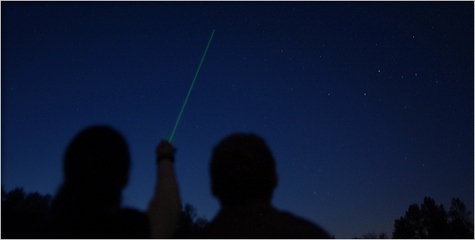 In the recent Cleveland incident, the pilots reported a green laser beam, suggesting that it could something as simple as a laser pointer like this, or this. (As one ad says, "the intensity of the green beam is unbelievable, so powerful it can project a beam up to 3000 meters or 10,000 + ft. even under lighted conditions.") Other possibilities include commercially-available lasers for surveying and construction. A more frightening scenario is that terrorists may have obtained a Chinese-produced ZM-87 laser blinder which is specifically designed to blind eyesight. (See my post "Blinded by the light" above for more info on military-grade lasers and their shadowy history.) 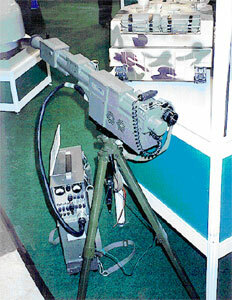 The Japanese terrorist cult Aum Shinrikyo—which launched the infamous Sarin gas attack on the Tokyo subway system in 1995—was discovered to have experimented with the use of lasers as weapons.According to The Asian Pacific Post, "Cult members apparently obtained laser design information from Russian institutes they visited and built a laser weapon mounted on a truck. They had planned to use the laser against Tokyo policemen, but the plan failed when the laser malfunctioned during the testing stage." For the record, even a well-aimed laser would be highly unlikely to cause a crash. Hitting both pilots cleanly in the face, through a refractive wraparound windshield, would require a great deal of luck, and even a temporarily blinded crew would still have the means to avoid disaster. Do not equate the results of a laser strike with, for example, having to drive sightless through a busy intersection. Maintaining a jet's stability would be challenging under the circumstances, but not impossible. I tend to agree. If you want to bring down a plane, why bother with something as esoteric and unproven as a laser, when shoulder-launched missiles are much more lethal and reliable? Real terrorists, unlike their Hollywood counterparts, tend to prefer the simple, well-proven approaches over esoteric ones. The Department of Homeland Security evidently concurs, since it's already in the process of soliciting proposals for a system to defend airliners against ground-launched missiles. All the same, the recent reports of lasers in the cockpit have to be worrisome for flight crews and air travelers alike, even if the perpetrators turn out to be nerdy Gen Xers wielding laser pointers. UPDATE: BoingBoing has an interesting post this morning on the same subject, including a link to a website called lasershoppe.com, which has been selling a $600 green-diode laser that can allegedly burn a hole in a plastic cup. (I predict the site's owner will be hearing from the FBI soon, if he hasn't already.) BoingBoing also has a link to a story on CNN.com, which suggests that there have actually been half a dozen laser incidents in the cockpit in the last four days, according to an anonymous government source. " The incidents have happened "all over the place" and in "kind of odd places," the official said without elaborating. None of the flights was affected. The government official, who spoke to CNN on condition of anonymity, said it was unclear whether this week's incidents were the result of 'kids who got a laser light for Christmas' or whether there is 'some deliberate attempt to target aircraft.' "
FURTHER UPDATE: Michelle Malkin also offers a round-up of information on lasers—which, remarkably, duplicates only a small part of what I've linked to above. (She's on to the lasershoppe.com guy too. But, pace Michelle, I'm not at all convinced he wouldn't sell one of those high-powered lasers to anybody who wanted one, provided the check cleared.) She also notes that Tom Clancy predicted this scenario too, in Debt of Honor. FURTHER UPDATE: Michelle Malkin and retired U.S. Army Capt. Chuck Nash just appeared on Your World with Neil Cavuto (FOX News) to discuss the laser issue. Not much new here, but Michelle did add the intriguing thought that lasers might be used either in rehearsals for a future shoulder-launched missile attack and/or as a sighting device. (Captain Nash seemed to be a bit irked that he got upstaged by Michelle on this.) She also reiterated her assertion that lasershoppe.com has quit selling green lasers. That's not exactly what they're saying on their website, though, if you read the full disclaimer: "Unfortunately, we have decided to STOP selling these lasers to the general public. Too many people have been doing stupid things with lasers recently, and this product is misunderstood. This laser DOES NOT pose a threat to airplanes or pilots, but due to the media hype and hysteria, I can't risk being blamed for such a thing. This laser does have the potential to do damage at close range however, and I can't sleep at night thinking that something I sold could fall into the wrong hands and be used to hurt people. It's unfortunate that that the actions of a few idiots have caused me to take these steps. If you are a responsible adult, and you are willing to fax me a copy of your driver's license, a short essay on laser safety, and sign a waiver, then I will consider selling one of these lasers to you. Please email me if you want more information." All lasershoppe.com wants to do (as I read it, anyway) is to make sure they can deny culpability in the event that one of their lasers winds up causing a tragedy. I can't imagine that a photocopy of a driver's license, an essay on laser safety and a signed waiver would do a lot to deter the Mohammed Attas of this world. Hold the Mayo seems to agree with this assessment: "While I think it is good thing that a company like LaserShoppe has rethought its sales policy of blind trust unfortunately their efforts seem to be focused only on their liability." FURTHER UPDATE: ABC News brings the count to seven incidents since Christmas: "The latest incident occurred Wednesday night at the Teterboro Airport in New Jersey, when the pilot of a business jet saw a laser light while approaching the runway. On Christmas Day there were three reported laser incidents at airports in Houston, Medford, Ore., and Washington, D.C. On Monday, two pilots reported seeing laser lights in their cockpits while flying into Colorado Springs, Colo. Both planes landed without incident." The FBI still doesn't believe the incidents are terrorism related, but the Air Line Pilots Association feels otherwise. "The fact that they've been in different places in different times and now that they're increasing in number tells me this is more than just a coincidence," says Capt. Dennis Dolan, vice president of the pilots' union. TalkLeft poses the $64,000 question (or questions): "So if it isn't terrorists, then who? And why is the FBI sounding so unworried after all the false alarm terror threats of the past? This is rather uncharacteristic of them." FURTHER UPDATE: Oddly, the MSM seems more focused on this story than the blogosphere. Google News lists 522 stories currently. Technorati lists just 490 post matching the words "laser" and "pilot." Could bloggers be starting their New Year's festivities early? FURTHER UPDATE: Okay, this is weird. The 11:00 television news here in Pittburgh (WPXI) just reported an incident at Greater Pittsburgh International Airport. The laser beam allegedly came from Independence Township, just a few miles from where I'm writing this. Nothing about this on the web, at least that I can find right now. But that would bring the post-Christmas count to eight. FURTHER UPDATE: Professor Bainbridge—who's never been really comfortable with air travel—is starting to get weirded out by the growing number of incidents (right along with the rest of us). "Just great," he writes. "I'm supposed to fly next week. This story … is making me rethink driving. I wonder what Tom Clancy would advise. BTW, is it just coincidence that the bin Laden family makes its money from construction, which just happens to be the industry in which this laser is used?" The overheated Russian economy may be headed for the deep freeze, according to Andrei Illarionov, an economic advisor to President Vladimir Putin. Russia's current economic policy cannot lead to the planned doubling of its GDP within 10 years because of the state's "shady" intervention in business, Andrei Illarionov, presidential economic adviser, said Tuesday at a news conference. Illarionov named the recent auction of Yuganskneftgaz as the dodgiest and harmful act of the year to the image of Russian business, Interfax reported. "The sale of Yuganskneftegaz to a mystical, and now not so mystical, company named Baikal Finance Group has won this year's 'shady deal of the year award'," Illarionov said. "This game used to be characteristic of con artists. Now such deals are being implemented between state-owned companies." The political adviser was adamant that Russia's economic policy has suffered, and should aim to be balanced, consistent and liberal. Only then can the country hope to double the GDP, he said. "Doubling it is out of the question while the government pursues an interventionist policy," Illarionov said. Russia's current economic stagnation was the chief surprise of the year, Interfax reported Illarionov as saying. In 2004 Russian oil was exported at an average price of $29 per barrel compared to $23.7 per barrel in 2003, Illarionov said. Consequently, the oil sales situation brought in $54.3 billion in 10 months of 2004, compared to $32.1 billion in the whole of 2003. "Against this background, the growth of nearly all macroeconomic indexes has slowed," Illarionov said. "Using selective justice, introducing new legal norms and applying them retroactively," the state has undermined trust in the legal system, said [Mikhail] Khodorkovsky, who is charged with fraud and tax evasion. "Such methods damage the nation's reputation and hurt the economy, but those who initiated that don't care." Putin has cast the 18-month crackdown on Khodorkovsky … as an effort to fight corruption and shady bookkeeping. But most see it as a vendetta for Khodorkovsky's perceived political ambitions. I suspect that Illarionov and Khodorkovsky are onto something here. But if I were them, I'd be watching my diet very carefully—especially those creamed soups. 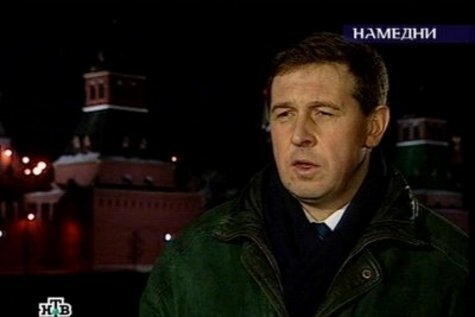 UPDATE (01-04-05): Remarkably, Mr. Illarionov has just been demoted by Mr. Putin. I'm shocked, shocked. In his book The Great Good Place, sociologist Ray Oldenburg argues that the lack of a stable "third place" (that is, a place other than home or work) is to blame for a decline in Americans' sense of community. Among other evidence, Oldenberg cited a 1911 study sponsored by Presbyterian churches in Indiana that showed "the churches faltered or flourished as a function of the broader social life of the community." And he notes that a Puritanical emphasis on spirituality over sociability may have contributed to the demise of the church as a force for community in the United States. He quotes one parson who declared that "what churches need is not social life but more spiritual life." Those who crave Starbucks can step over to a kiosk at Grace Capital Church in Pembroke, N.H. At True Bethel Baptist Church in Buffalo, N.Y., the spot where the choir once sang now sells Subway sandwiches…. "Starbucks has done what churches should have done a long time ago, and that's to become more people-friendly," says the Rev. Peter Bonanno, senior pastor of Grace Capital Church. "It's not so much the coffee as the environment the coffee and the coffee bar create—a relaxed, relational, and fun place. We hope to create an environment that we believe is more biblical than [conventionally] religious." Parishioners seem satisfied. The kiosk opened in July, and visitors say the building that houses it "feels more like a Starbucks ... than a church," says Mr. Bonanno. Since July, average Sunday attendance has doubled to 550. Short-term convenience and growth may come at the expense of church ideals, says Barry Harvey, professor of contemporary theology at Baylor University in Houston. In his view, spirituality has been "commodified" in the past quarter-century, in part due to "church shopping" and a hot market for religious merchandise. From there, he says, "It's just one more step to say, 'What's the big deal about bringing in a McDonald's?' 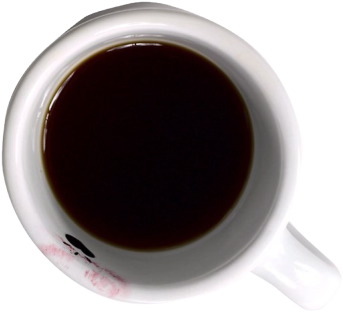 "
In the immortal words of Linda Richman: "We'll have coffee. We'll talk. No big whoop." As if the ACLU's continuing attempts to link the Abu Ghraib scandal to an executive order weren't enough, the official Saudi government newspaper Al-Watan has published an article accusing the United States of harvesting the organs of dead Iraqis. Secret European military intelligence reports indicate the transformation of the American humanitarian mission in Iraq into a profitable trade in the American markets through the practice of American physicians extracting human organs from the dead and wounded, before they are put to death, for sale to medical centers in America. A secret team of American physicians follow the troops during their attacks on Iraqi armed men to ensure quick [medical] operations for extracting some organs and transferring them to private operations rooms before they are transferred to America for sale. The reports confirm the finding of tens of mutilated cadavers or cadavers missing parts. Some were found without a head. The American military command could not offer reasons to explain the bewilderment about the missing parts, suggesting that this may have been caused by the penetration of bullets to the [missing] parts. But these excuses cannot be medically accepted. The reports also confirmed that the burning of bodies was deliberate in order to conceal the crime of organ extraction. [The reports] further indicate that American medical teams have [made] active and suspicious moves in Iraq to recruit some Iraqis to guide them to dead and critically injured individuals to engage in the extraction of organs. These teams offer $40 for every usable kidney and $25 for an eye. The reports confirm the finding of mutilated bodies in Fallujah. The reports indicate that the cadavers are immunized inside special cars to prevent the spread of the plague until the bodies are buried by their relatives. The reports have indicated that a number of those killed in 'Abu Ghraib' and other prisons were subjected to operations for extracting their organs. Following their mutilations, the bodies were discarded far from the prisons to conceal the facts. The reports revealed that that the American forces restricted the media by force to prevent them from getting near the scenes and recording the events. But the relatives of the Iraqis are aware of these facts. The reports have [also] indicated that the military forces of the European allies have noticed the absence of organs from the cadavers that were dealt with by the Americans and have reported to their high command, which instructed them to maintain silence and to avoid the discussion of the subject due to its gravity, while the military and intelligence high command have written secret reports about was observed by their forces and sent them to the European ministries of defense for their information. The story has also been published in the Iranian daily Jomhouri-ye Islami as well as the Syrian daily Teshreen. Another reminder of the support we enjoy from our "wonderful partners," the Saudis. Joe Gandelman at The Moderate Voice has an excellent roundup of bloggers' accounts of the earthquake's devastation. Gandelman: "The Internet made it seem MUCH closer … because some local weblogs instantaneously started telling bits of the horrific story." I was having breakfast on the front patio and saw the ocean recede which was weird then I saw a wave coming. I ran to our room screaming for Pong and Joy to get up ( They were sleeping) and go to the top floor. Water was already in our first floor room and we started climbing up the stairs. The guesthouse is only 5 stories tall. We stopped on the 4th floor and watched as the wave hit. It was scary as hell! After about 2 hours and several other big waves coming in we walked about 5 blocks up a hill to a resort hotel. I kept telling the people there all around me that I was diabetic and lost my insulin in the waves. A police truck came by on the way to the hospital and gave us a ride to the hospital in land and up hill. I got there and the place was a mad house. But I went straight to the pharmacy and bought insulin. We then found a new hotel about 2 blocks from the hotel it is called Nipa Villa still in the town of Patong and on Phuket island. The airport is under water, there is a bridge connecting the island to the mainland in the north of the island but that has been destroyed. I don't know how long we will be stuck here but we are OK.
Tens of thousands weren't so fortunate, of course. 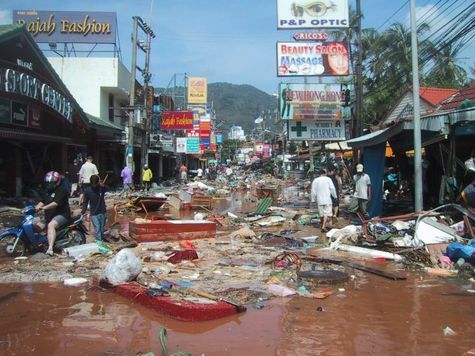 A spokesman, Waverly Person, from the U. S. Geological Survey National Earthquake Information Center commented to The Sydney Morning Herald yesterday: "Most of those people could have been saved if they had had a tsunami warning system in place or tide gauges. And I think this will be a lesson to them." Let's hope Condi Rice isn't planning to recruit Mr. Person for her team at Foggy Bottom. Blogging—as many people have discovered—can be hazardous to your employment status. But the risks are even greater for those who make their livelihoods as members of the Fourth Estate. A St. Louis Post-Dispatch reporter who was writing pseudonymous blog was identified by newspaper management, who seized his hard drive and suspended him from his job, according to the Riverfront Times, an alt-weekly in St. Louis. Post-Dispatch staff writer Daniel P. Finney was writing the blog, titled "Rage, Anguish and Other Bad Craziness in St. Louis," under the name Roland H. Thompson. The blog, which was first discovered by the Riverfront Times a week earlier, chronicled his life, including his work as a features writer for the Post-Dispatch. In his blog, Finney "too frequent, thinly veiled potshots against his employers and coworkers," wrote Times reporter Ben Westhoff. "He also wrote about stories he was working on for the paper. And example: 'Today was an absolute abomination. It began unwillingly at 7:30 a.m. when I was forced from my sweet, gentle slumber to go to work on a hideously lame story involving Santa Claus and the Hard Rock Café. "In another entry he poked fun at the subjects of the Post's annual '100 Neediest Cases' feature. 'Speaking of dicks, I've been reading the Post-Dispatch's 100 Neediest Cases stories,' he wrote on Dec. 2. 'The bottom line is that there are a lot of poor people who need stuff. It is a worthy cause. And, at some level, I feel sorry for these people. But at another level, one in which your friend Crazy Roland is much more in touch with, I must admit I feel as if a good number of these needy cases could be avoided by a well-placed prophylactic. "Six days later, a '100 Neediest Cases' installment carried Finney's byline." Finney and Post-Dispatch editors declined to comment to the Times. On PaidContent.org, Executive Editor Staci D. Kramer—a St. Louisian—noted that Finney shouldn't be lumped with those penalized unjustly for outside blogging activity. "The blogger used profanity to describe the newspaper, made comments about co-workers and bosses, wrote of interview subjects and stories he apparently had covered," she wrote. "I saw nothing which led me to believe he was blogging from work but his blogging in many cases undermined his own work and that of others." Robert Frost once described free verse as "tennis with the net down." 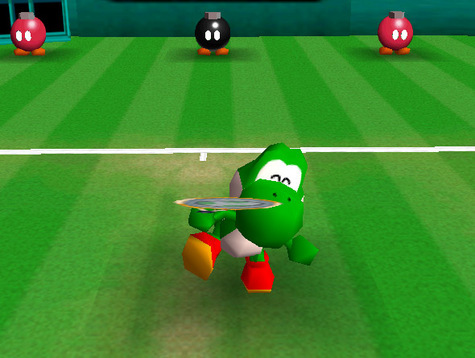 But maybe it's not such a bad thing to play tennis that way, especially if you're trying to master a topspin serve. Entry barriers have been a staple of corporate strategy since the early 1980s, when Michael Porter (in his seminal book Competitive Strategy) described them as one of the five forces that shaped business competition. The idea is that things like resource ownership, patents (and copyrights), government restrictions and start-up costs erect economic barriers that make it difficult for new companies or individuals to break into a marketplace. Try starting your own airline or your own oil company, and you'll quickly discover what Porter was talking about. A. J. Liebling was talking about entry barriers, too, when he said that freedom of the press is guaranteed only to those who own one. But blogging—as Dan Rather discovered a few months ago—has suddenly lowered the entry barriers to journalism, with mostly (so far, anyway) salutary results. Blogging software—especially with the advent of such one-stop incarnations as Typepad and Blogger—represents a growing class of technology known as "low-threshold applications," or LTAs. The coiners of this handy TLA (three-letter acronym) define LTAs as "application of information technology that is reliable, accessible, easy to learn, non-intimidating and (incrementally) inexpensive." And, predictably, they've created a blog devoted to them. Although weblogs are perceived as low-threshold tools to publish on-line, empowering individual expression in public, there is growing evidence of social structures evolving around weblogs and their influence on norms and practices of blogging. Emerging from connections between weblogs and their authors, weblog communities often do not have a shared space, clear boundaries, or clear membership, challenging researchers who want to study them. The purpose of this paper is to get an insight into methods of finding "life between buildings": virtual settlements where weblog communities may reside. We use Jones (1997) theory of a virtual settlement and archaeological metaphor to address research challenges of locating weblog communities, suggest an iterative approach that includes refinement of research methods based on assumptions about community norms, practices and artefacts, and propose which artefacts could serve as indicators of a community presence. A pilot study is presented, where a social network analysis of links between weblogs is used to identify a community of knowledge management bloggers. If you're interested, you can download a copy here. Be warned: It's pretty heavy slogging. Now if someone could just create a low-threshold application that would make us all tenured university professors. That would really be lowering the net. The Donald Rumsfeld autopen controversy (as Power Line remarks today) has swelled to near-epic proportions, 840 stories by Google's count. Power Line is right to suggest that some historical perspective is needed, but who would have suspected that Robert Siegel at National Public Radio would come along to provide it? As Siegel correctly points out, automated signatures have been around since Thomas Jefferson's time and were "outed" during the Ford White House. (I was working there in the speechwriting shop and remember the controversy.) Still no background on previous secretaries of defense and their use of the autopen, however. I can't imagine they haven't been used before Rumsfeld; in fact, I wouldn't be at all surprised to learn that autopen condolence letters came into currency as far back as World War II. Gizmodo also did an interesting post on autopens last summer, which is worth a look. There are also some interesting links to autopen articles here, here and here. And if you want one of your own, you can buy it here. FURTHER UPDATE: The father of a spec ops Marine serving in Iraq writes to Power Line, echoing the Jackalope in the thought that it's really the C.O. 's condolences that matter, not those further up the chain of command: "Don't get me wrong, we would appreciate the condolence letter from the SecDef, as well as one from the White House and from our Senator and Representative, from the Mayor and Governor. But none would bring back our son. And they are all form letters, signatures be damned. A letter from his 1stSgt, from the men we know in his unit would be a treasure and a comfort."